I love the combination of tomatoes and zucchini, especially in the summertime. It’s just so light and refreshing. But I never thought to combine it with rice! What a great idea. 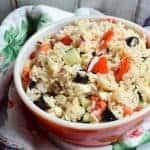 You can eat this Greek Rice Salad warm or cold. 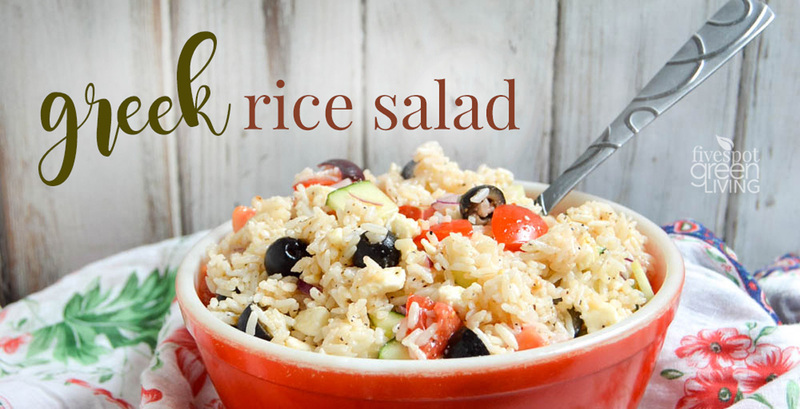 It is one of my go-to favorite ways to eat vegetables and grains. This dish is a perfect healthy recipe to bring to summer cookouts and potlucks! 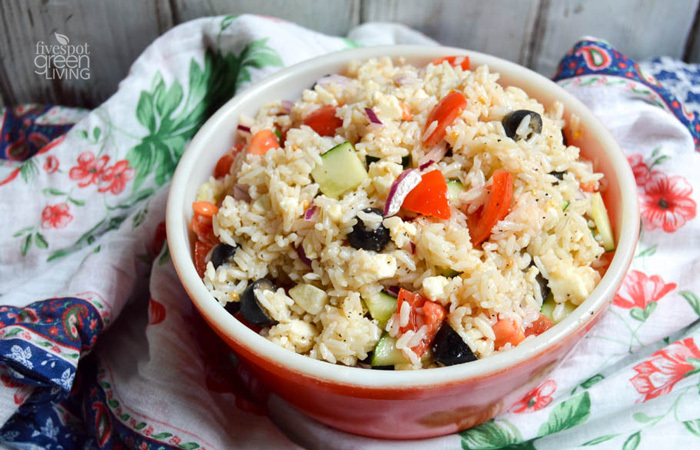 You can make this Greek Rice Salad with or without the cheese. Personally I love the cheese but can go without the olives – I just give them to my kids! Cook rice according to directions to get 4 cooked cups. 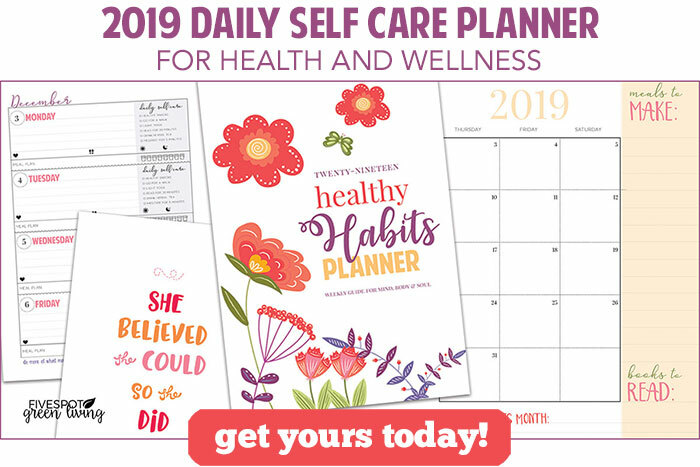 « What is a Bullet Journal? 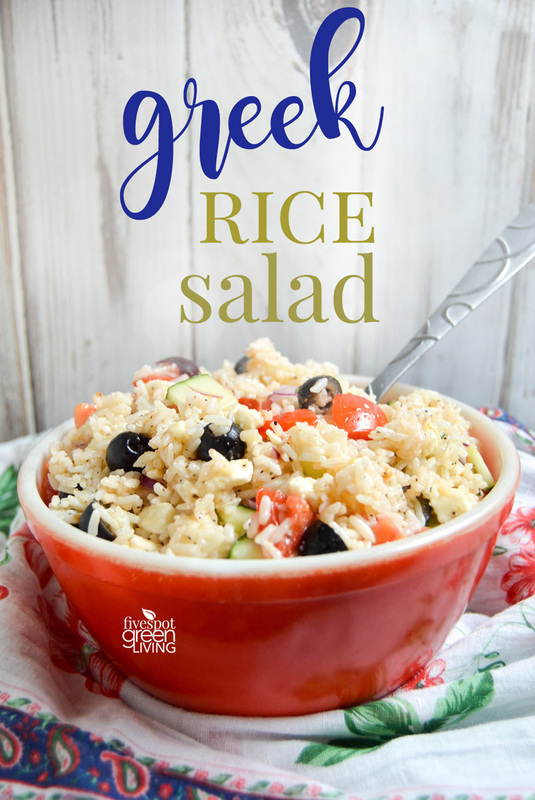 I love the Greek flavors, this salad will be so good! Hope you are having a great day and thanks so much for sharing with Full Plate Thursday.